We take note of technologies, features, fit and color options for each piece. There are many strong contenders this year, but below are our top 5 picks for early season winter coats this year. First and foremost, The North Face Aconcagua Vest is such a beautiful and versatile piece. It can be worn for fashion or function in cool to cold conditions. The 550-fill down insulated vest boasts a new look this year with diamond shaped baffles that help to keep you warm, while still looking fashionable. This satin-finished vest is perfect for layering over a flannel button-up or fleece quarter zip on cool fall days! On the other hand, this would be a great mid-layer option as winter rolls in. The goose down insulation will trap hot air reducing heat loss and increasing warmth, letting you focus on your winter activities instead of worrying about the cold. The Indi Insulated Hoodie by North Face is a new piece this year. The first thing I immediately noticed when trying on this jacket was how soft and cozy it felt! Complete with zip hand pockets, internal cinch waist and a media compatible pocket, there is more than meets the eye with this lightweight jacket. The soft, brushed fleece interior of this fitted heavyweight sweater-fleece will offer you warmth and comfort as you attend football games and bonfires this fall. This would be a great jacket to wear with a fun scarf, leggings or skinny jeans and riding boots when attending any autumn activity. Patagonia’s Radalie Parka caught my eye as soon as I took it out of the packaging! This sporty, quilted look is a twist on a more traditional parka. The lightweight Radalie Parka has a contemporary feminine silhouette with beautiful quilt lines and princess seams. This parka sports a recycled nylon shell with a DWR (Durable Water Repellant) finish and a recycled synthetic insulation. Its hand-warmer pockets and stand up collar are ideal for keeping out the chill of winter days. This jacket is perfect for woman who prefer a longer coat, but don’t want the bulk or weight of a traditional parka. Columbia’s Carson Pass II Jacket screams fashion meets function! With a faux fur-lined hood, belted waistline, elbow patch details and modern classic fit, this coat is fit for any fashionista! The Omni-Heat thermal reflective silver lining paired with Omni-tech’s waterproof, breathable and critically seamed sealed technology, makes this coat just right for the coldest of winter days. Columbia Sportswear also carries this jacket in plus size outerwear so that every woman has the opportunity to enjoy this fabulous coat. Last but certainly not least, I was impressed when first noticing the technologies of Under Armour’s ColdGear Reactor Jacket (available in-stores only). Using Under Armour’s weatherproof rating system, this jacket falls in the Storm 2 category meaning it is highly water-resistant and windproof. Combined with the weather protection on the outer shell, the UA ColdGear Reactor intelligent insulation adjusts for temperatures of any seasonal activities. Along with utilizing some of Under Armour’s great technology, with this jacket come some terrific features. To help keep out the cold, this fitted coat has an adjustable hemline, stand up collar, and UA MagZip. My favorite feature of this jacket is that it’s fully packable into its own chest pocket to carry with you and unpack for use whenever needed. With all the technology and features included in this jacket, you will be ready for wintry fun wherever you go! Are you in need of a new winter coat or maybe just looking to mix in something unique and cozy with your autumn or winter attire? 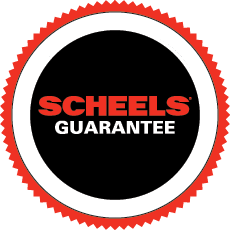 Come visit us at Scheels or shop our website to find your favorite items! Whether you choose to add one or all of these fashionable, functional pieces to your wardrobe this season, you can’t go wrong.